Brick Oven Lit. 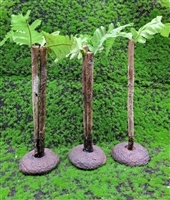 Base:4" Height: 4". 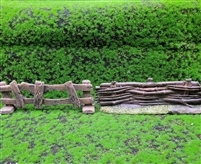 Village Fencing 5", 2 piece set. 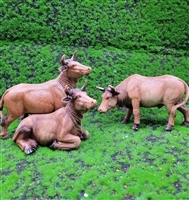 Village Animals 5", 5 piece set. Village Cow 5", 3 piece set. Village Fencing 8", 2 piece set. 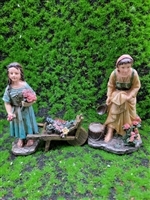 Village Women 8", 2 piece set. Village Flower 5", 3 piece set. 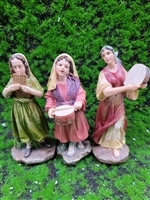 Village Music Girl 5", 3 piece set. 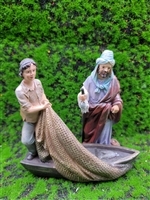 Village Fishermen 5", 2 piece set. 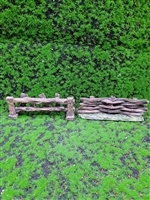 Village Wagon 5", 2 piece set. Nativity Pozo. (ELECTRICAL) Base: 5" Height: 5.5"
Village River 5", 3 piece set. 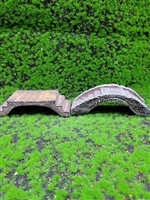 Village Bridge 5", 2 piece set. 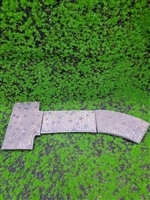 Village Road 5", 3 piece set. 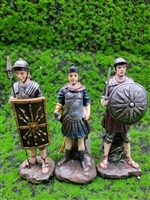 Village Soldiers 5", 3 piece set. 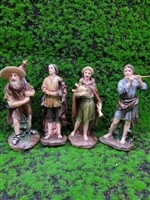 Village Farmer 5", 3 piece set. Village Birds 5", 7 piece set. Village Milk Maid 8", each. 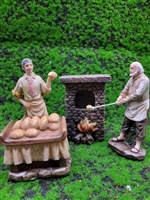 Village Bread 5", 3 piece set. Village Pottery 5", 4 piece set. 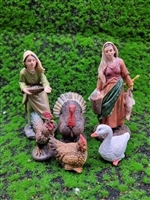 Nativity Set .5"-4". 11 piece set. 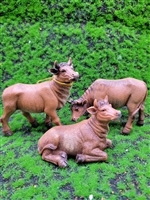 Village Cows 8", 3 piece set. 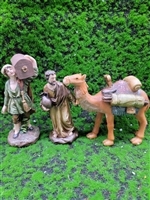 Village Merchant 5", 3 piece set. Village Music 5", 4 piece set. 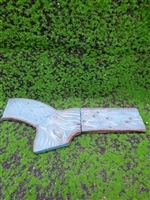 Village Tree 8", 3 piece set. 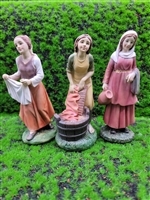 Village Women Laundry 5", 3 piece set. Village Fruit Fish 5", 3 piece set. 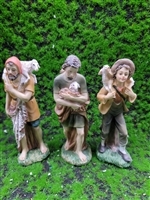 Village Shepherds 6", 3 piece set.